Recharge with Thermamedic Pro for refreshed mornings. Wake up fully charged and refreshed every morning after a good night’s sleep. 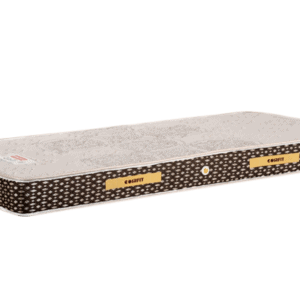 This dual side extra bounce mattress provides you with the highest level of comfort as the mattress comprises of bouncy Thermamedic Pro Bonded Foam that supports every inch of your back effortlessly. It ensures years of comfort, without developing a sag and thus provides adequate support for your body. Our proprietary blend of premium foam is designed with just the right amount of bounce. It responds and supports your body so you don’t get that sinking feeling or a trampoline-like experience. Firm enough to support you, but soft enough to be gentle where you're sensitive. Beautifully designed and engineered with rebonded foam configuration for back support and pressure-relieving core support.